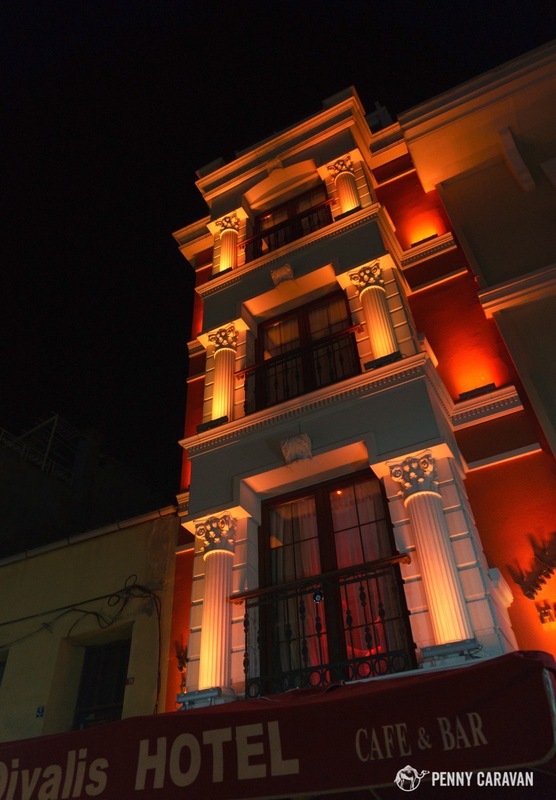 Divalis Hotel is a small boutique property in the heart of the Sultanahmet district. 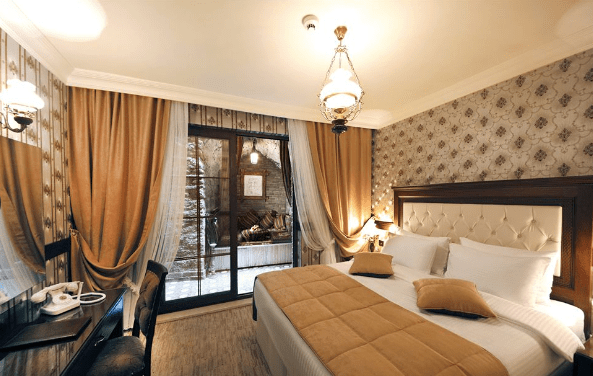 Its combination of excellent location, great value, and friendly service led us to stay here not only on our first visit to Istanbul but our second one as well. Divalis Hotel | From $90/night. Location: Divalis is located adjacent to the Old City Wall which runs next to the Blue Mosque. It’s a short 3 minute walk up the street to reach the grounds of the Arasta Bazaar and Blue Mosque, and from there you can easily access the Hagia Sophia, Hippodrome, and Basilica Cistern, as well as the tram line to go to the Grand Bazaar, Spice Bazaar, and beyond. 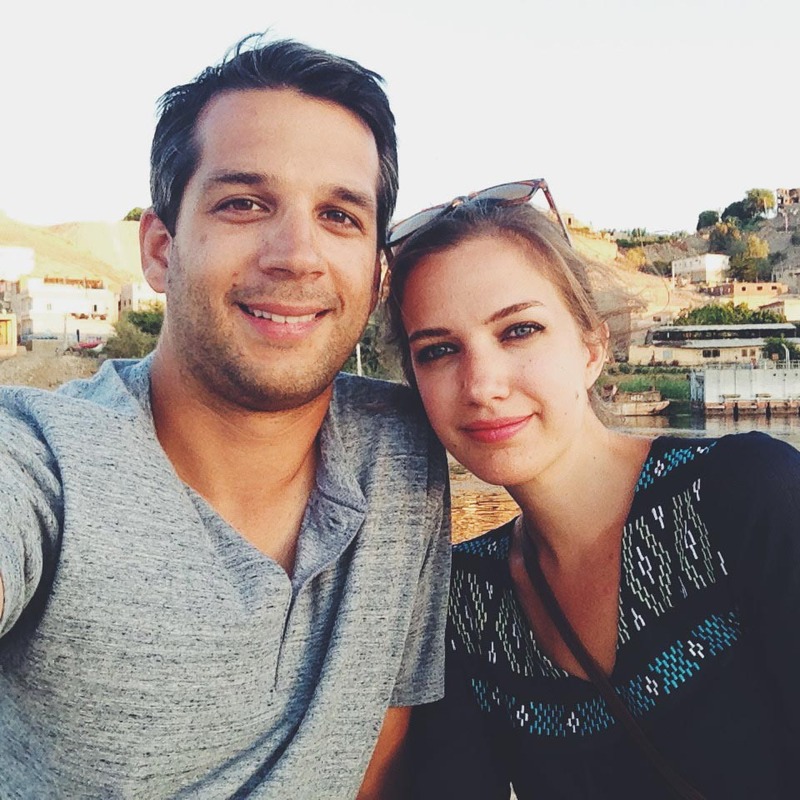 On our first trip to Turkey, we stayed two nights at Divalis, after already having been in Istanbul and exploring other parts of the country. We wanted a hotel in the heart of Sultanahmet so we could easily do all our bazaar shopping before flying home. Because of our positive experience at Divalis, we booked it again when we returned the following year with Iylana’s parents. 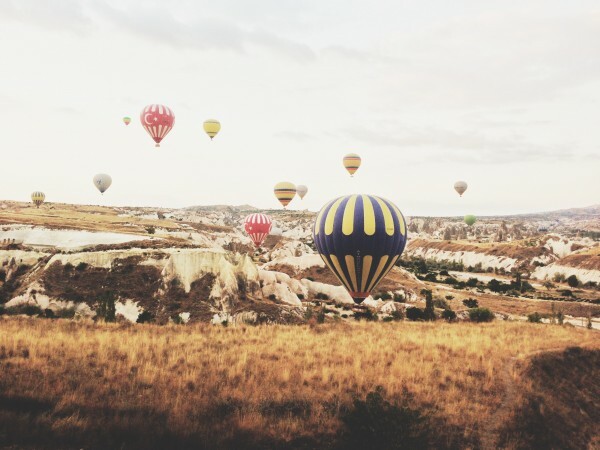 We only allotted 3 nights in Istanbul, so the location was very helpful in allowing us to easily access all the main attractions as well as a plethora of dining and shopping options. Staff: The staff at Divalis were very helpful and friendly, answering any of our questions about the area and ready to assist with any arrangements we needed, be it restaurant reservations or airport transfers. The breakfast buffet had lots of offerings and omelets were made to order. Throughout the day tea service was readily available. Rooms: Divalis has 10 rooms across four categories. Our first stay was in a Standard Double Room. It was a little tight on space on either side of the bed, but there was plenty of storage to keep our bags and clothes out of the way. The bathrooms are very nice and well-equipped. On our second stay we opted for the Divalis Suite since it was only a couple bucks more. The bonus here is that it included a private outdoor lounge area where we enjoyed relaxing and taking tea. 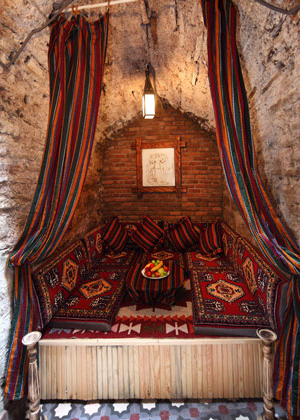 It’s actually built into the Old City Wall with a large outdoor bed. The other rooms just had windows facing the wall; not exactly the best view. Other facilities include a rooftop terrace, which has nice views of the Marmara. Sidewalk seating is a great place to enjoy breakfast or to sit while waiting for other members of your party. 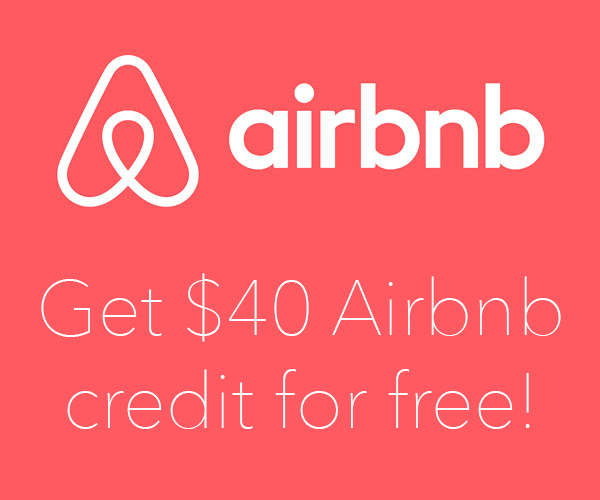 The hotel also offers 24 hour room service, in-room safes, satellite television, and free wi-fi access throughout. 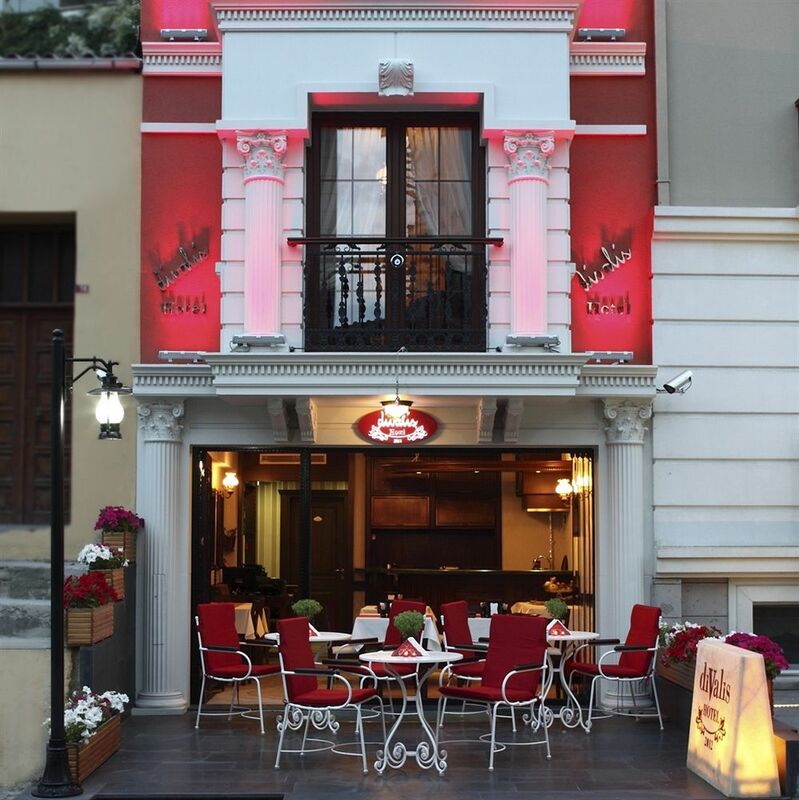 In conclusion: If you plan on staying 4-5 days or more in Istanbul, our recommendation is to look for a place in Beyoğlu, such as the Lokum Ev Suites, where you can experience the city a little deeper. But for shorter stays of 2-3 nights, we definitely recommend Divalis. Its convenient location allows easy access to most of Istanbul’s main sights, and its combination of price and amenities make it an excellent value.